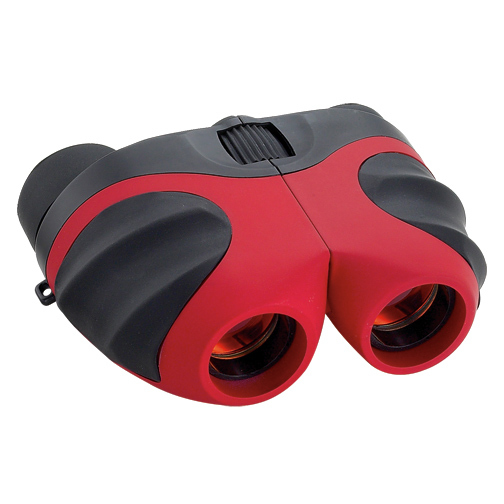 8 x 21 Compact binocular, the best of the compacts. Smooth rubber coated body. Ruby coated lenses to cut down on ultra violet rays. BAK-4 prisms giving you great clarity. Complete in red w/rubber grips. Coated lenses.